Winter is coming and vacationers around the globe are ready for a break from their normal winter weather. What better time to explore a new place than when the wind and snow is howling outside? 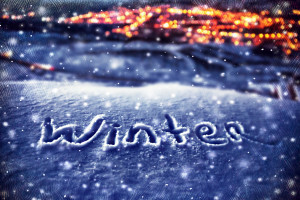 Travelling in the winter can be tricky, so here are Tripps Travel Network’s best tips for a winter vacation. Avoid Connections – If at all possible, avoid a flight with connections. It’s one thing to have the first leg of a flight delayed or cancelled, but to be stranded in another city, without luggage, is a nightmare. If non-stop is not an option, consider layover times. Ensure there is enough time to comfortably make the connection. It wouldn’t hurt to find an early flight, to give more chances of making a connection if something happens. Airports – Not all airports are created equal, and there are several factors that should play a part in the decision. Southern airports will reduce the chance of weather-related delays. Smaller airports may be to the traveler’s advantage. The crowds and lines at larger airports can cause delays of their own, and difficulty in rescheduling. Not to mention the backed up lines at security. Tripps Travel Network knows it’s not enough to find a cheap flight, it needs to be the best bet for a smooth trip. Driving – Sometimes driving could be the better bet when it comes to a winter vacation. Driving gives the traveler more control and a car at the destination can certainly be helpful for exploring. Of course normal car maintenance is a good idea before setting out on a journey and packing an emergency kit in the trunk is a must. Winter weather is always changing, so things like extra water, salt or kitty litter, blankets, and some food would be a great addition to luggage. Packing – Multiple stops or extreme temperature changes can make packing a challenge. Layers are generally the best bet as well as items that can mix and match for multiple outfits. Depending on the destination, full winter gear may be required where in other places a light jacket may be enough to get started. Keep in mind it’s always cheaper to buy clothing before the trip when there are multiple options. Sunblock, lip balm, and lotions are always necessary, no matter the destination. Winter vacations are a great way to explore a new place and possibly escape the harsh winter. Check with Tripps Travel Network for all the options for this year’s winter excursion.